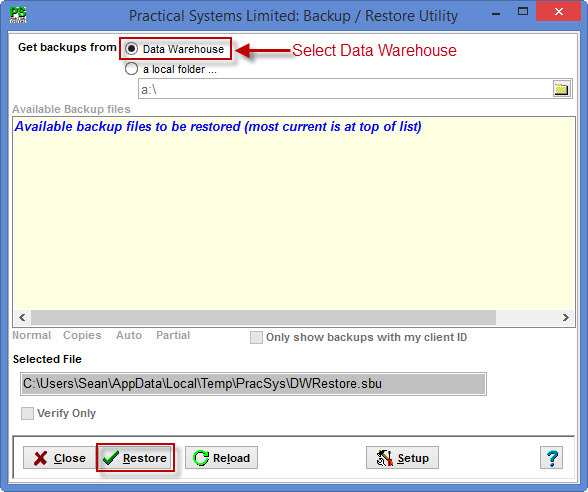 How do I back up my data to the Practical Systems Data Warehouse and restore it back into my software? 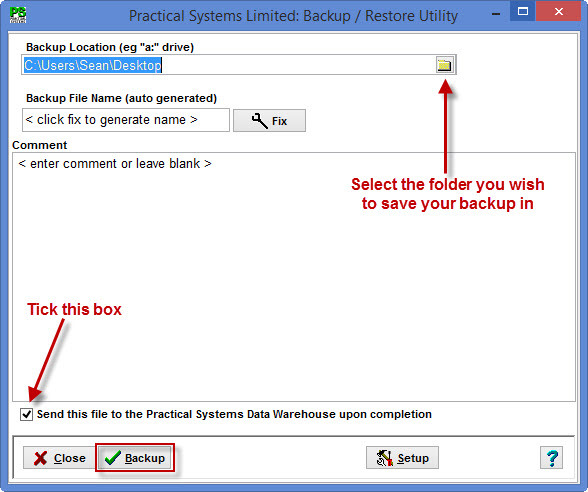 Select a location that you wish to save your backup by clicking on the yellow folder. server. Once logged in your backup will be uploaded. Click OK to the prompt. 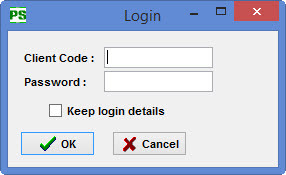 Login using your Client ID. Select the file you wish to delete and press delete. You will then be asked if you would like to Password Protect the file using a second, encrypted password. NOTE: If you choose to do this you will need to remember this password to be able to access this file in the future. You will be the only person with access to this password and it cannot be retrieved or reset by Practical Systems or anyone else. Practical Systems would not recommend creating this password unless you don't want one of your users to access this file. Enter a description for this backup. Eg: Todays date or an activity name. Then click OK. 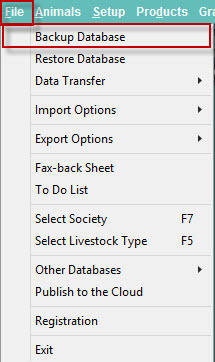 Select Restore Database from the File menu in Stockbook. 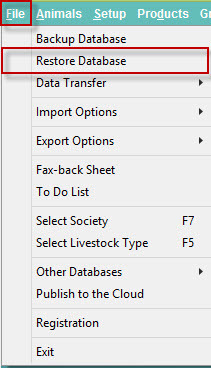 You will then be shown a list of your backup files currently in the Practical Systems Data Warehouse. 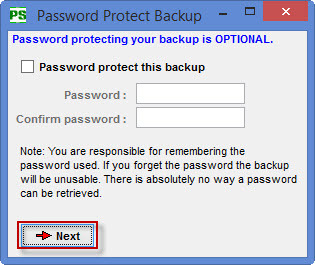 Select the backup file that you wish to restore and click OK.